Police and a mountain rescue team helped a lost fell runner find his way off Clougha Fell in the dark on Monday night. 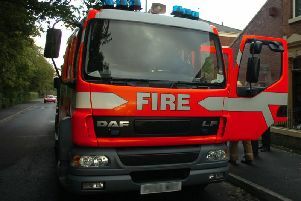 The alarm was raised at about 11pm when Bowland Mountain Rescue team was called out to look for the man near Clougha. The casualty was located using ‘Phonefind’ and team members were able to go straight to his location on some rough terrain. The runner was cold and had a sore ankle after turning it over while running. He was warmed up in a group shelter with team members and some spare clothing before being guided off the hill. Police also assisted in the search, and the runner was eventually found at around midnight.